Mobile Heating There are 6 products. Monophase Adapter for MGFTools Vulcano Concrete Screed Drying and testing. 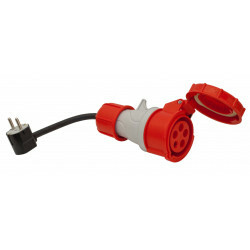 Excellent to heat up to 3,3 KW the circuit using a single phase. 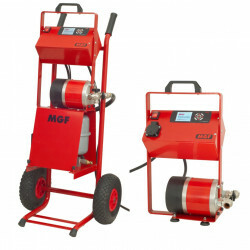 The screed Heating and Drying Machine Vulcano and Vulcano C-Plus by MGF Tools, which combine to create a kit Power 20 KW! More power and greater convenience. 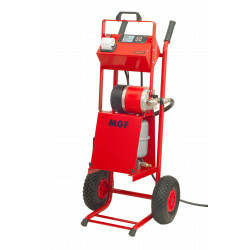 Concrete screed heating and drying MGF Vulcano PRINT: Mobile Heating Central with built-in Thermal Printer. Save reports on SD Card or with built-in printer. 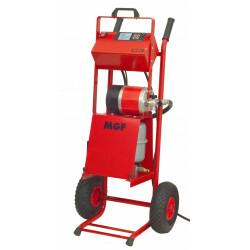 Concrete screed heating and drying with MGF Vulcano: a portable electric boiler compliant to EN 1264-4. Process is certified on the SD card. 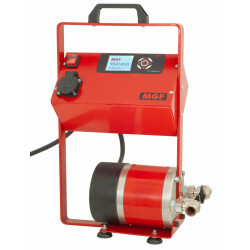 Monophase adapter for MGFTools Vulcano Concrete Screed Drying and testing. 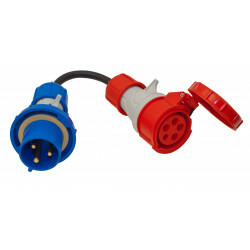 Excellent to heat up to 6,7 KW the circuit using a single phase.